This page is designed to show what some of your classmates are doing today. This might include accomplishments; pictures of favorite toys, oneself, or family; writings; poetry; opinions; etc. Content will be reviewed for approval by the web masters. Please feel free to contact them for contributions by emailing Jimmy Knight or John Mullinax. Also keep in mind that information posted here is viewable by the general public, so take care about what personal information you reveal. Note: click on a number or name to go directly to that person's entry. Richard with son Tommy. Richard tells us, "Another one of my sons flies 737's for Delta and my Daughter Elise (17) is the Captain of her High School soccer team and is Queen of the High School Senior prom this year. My oldest Daughter was a designer for Sirkorski Heliocopters. I have a lot to be proud of and am a very lucky man. I hope these braggings of mine don't bore you too much. I am just very proud of my family." 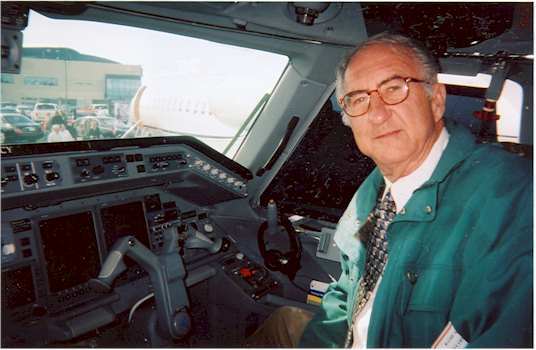 Here, we see Richard, a pilot with a commercial license and an instrument rating, on the flight deck of a "Legacy" business jet built by Embraer, a Brazilian Aircraft Co. The occasion was a business jet show at John Wayne airport where he got into the cockpit and had his photo snapped. He says, "For a few minutes I got to play with that magic machine. I'm still a kid in many ways." 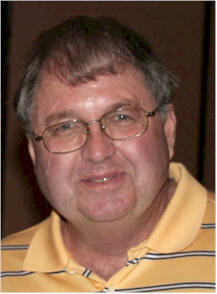 I just received an email from Judy Kaufman that Richard Carroll died on July 10 in 2006 in Costa Mesa, CA. The services will be held on Monday, July 17, in Costa Mesa. Also, since our June Rally I’ve discovered that John Speed, Wilson Prosser, Shirley Foster and Barbara Britt have died. When I saw your 7/14/06 email about Richard Carroll's death, my heart sank. I visited Richard and his 2nd family a couple of weeks after our 45th class reunion in 2002. They treated me like royalty and Richard was in great spirits. I was looking forward to seeing him again, perhaps at next year's 50th reunion. So I called their home Sat. and talked with his 19-yr old daughter Elise. Richard was devoted to his family, and his daughter loved him dearly. She was delighted to hear about the class website and planned to visit it, since Richard had contributed news at times. She gave me the particulars about last rites. Richard will be buried today after a service in Mesa Verde Methodist Church (in Orange County, California) starting at 10:00 am PDT (1:00 pm EDT). There will be a Marine honor guard with a rifle salute. Richard was very loyally attached to the Marine Corps. 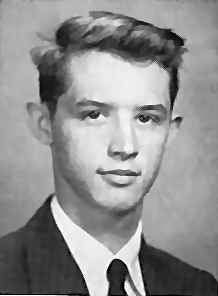 Uldis Palde, USMC and Richard's 1957 classmates of Russell High School, East Point, Georgia." I hope there won't be any objections to this - If you'd like, you can post this email on the russell57.com site. Richard and I grew up together, living less than a block apart. I remember his Mother and Dad. His Dad, Tom, was an East Point Fireman for a number of years and his Mother ran a beauty shop in their home. Richard and I were in Kindergarten together. In the Kindergarten Play, "Rags, Tags and the Velvet Prince", Richard was The Velvet Prince. 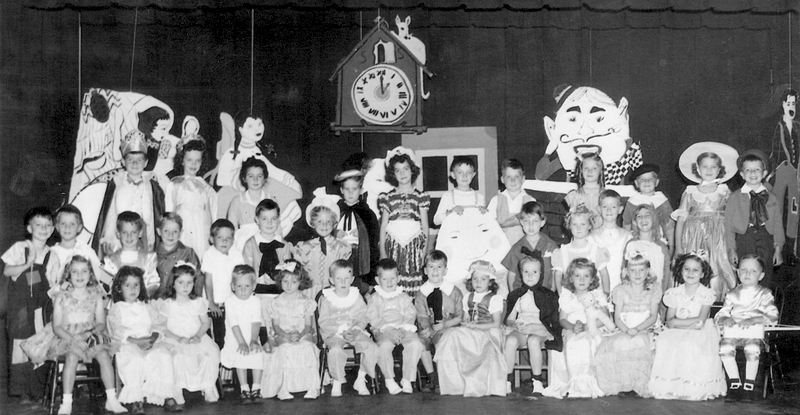 A picture of the kids in the play is posted under the Central Park Grammar School Pictures. One time his Dad brought home a lion and kept it in their garage. I remember every kid (and parent) in the neighborhood going to their house to see the lion. I think that lasted about a week. Later, they had a horse. One time the horse tossed Richard off and stepped on his leg. My guess is that he carried the scar in the shape of a horseshoe for a life time. We were also in the Cub Scouts and Boy Scouts together and we both enjoyed the outdoor camping activities. In the seventh grade a test was conducted for the last half of the school year using round tables rather than the traditional individual desks. Richard, Judy Javorsky, Judy Fowler, Jean Marshall and I sat at the same table. There was another boy at the table, but I can’t remember who it was. I remember the two of us exploring the ruins of the Connally Plantation slave houses when we were around 12 or 13. One time we also tried to dig up what we thought was an Indian grave. We worked on it for about a week and never found any bones. Later in our Junior and Senior years in high school we double dated sometimes. Before we married, Jeanette and I bought some of our first items of furniture from Richard when he worked at Haverty’s Furniture in Atlanta. Sadly we lost contact for a number of years. More recently, during the past 4-5 years we exchanged many emails. Richard was very proud of his “second family” and enjoyed the successful achievements of his children. We’ve lost a really nice person and a good friend. "Jimmy (Jim Goad just doesn't sound right to me, so I will say "Jimmy" if you dont mind), My dog, the Irish Setter's name was "Red" and my great pal. We hunted squirrels together. with my 22. I would look for them and she had a good time scareing them off because she loved to run around under the trees in the leaves and that of course made a lot of noise. Red probabily saved many squirrls that way. Red had 48 puppies in her life, bless her heart. One litter was 18 puppies, believe it or not. I can see all of them sorrounded by my dad's legs as he sat on the ground with them. 2 died but 16 survived, The Journal of Constituion came out and photographed them. On Easter Sunday 1951 or 2 My Dad brought home a lion. I dont know if you and Johnny remember that or not. It's name was Zimba and he got it from a bananna boat captain in New Orleans for $128.00 one night while drunk. He brought it home and the Journal came out and photoed that too and did an article saying that "Carroll kids get a lion for Easter, instead of a rabbitt". He and I were on Jon Farmers TV show "Inside, Outdoors". remember that show. Any was there are stories about the lion. It was pretty big and not exactly the hit of the neighborhood. ( Did you read the Prince of Tides"? It was sorta like that). Another favorite place was at Jimmy knight's house. [Here he makes some comments about ] ......... Diane Leverett. Gosh she was a beauty. Have you ever looked back at her picture. Just beautiful. I also used to hang aroung the Fulton County Airport and fly airplanes with Lamar Seals. I do wish I could have some of those days back. We also used to smoke rabbit tobacco. Do you remember that? Do you remember Bill Nolan's house and his A Model Ford and Royce Jones old car with the wide runningboards and the spoke wheels." 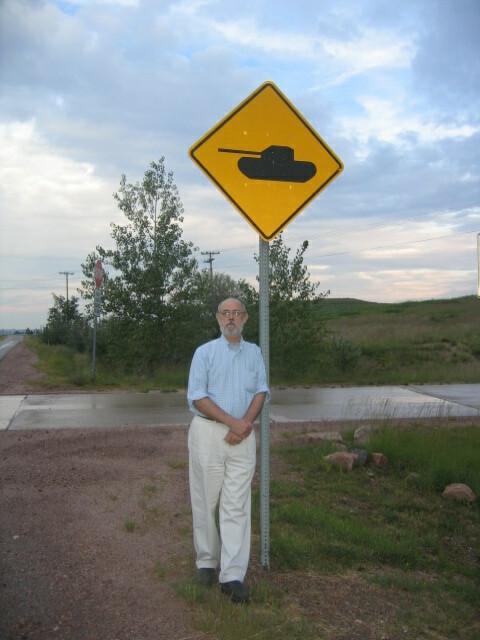 Anyone else wanting to share remembrances of Richard can send their comments to johnm@mindspring.com and they can be posted here. Marcia tells us: "In high school I thought music was something one could do for fun or as a hobby. It wasn't until 1968 that I discovered my talent as a piano teacher and that there was an income to be made from having that much fun. From that moment on my obsession was learning everything I could about playing and teaching piano. In 1974 it was jazz that became the focus of the quest. Determined to become a performing jazz pianist before age 40, I began playing a serious game of "catch up." Being in the right place at the right time and always open to try something new have proved keys to my success in the jazz education world. The short bio below will give you an idea of some of my activities. Living in Tyrone is great and I have no desire to retire since all my employment opportunities feel like recreation to me." Marcia Dunscomb is a composer, author, educator and pianist. 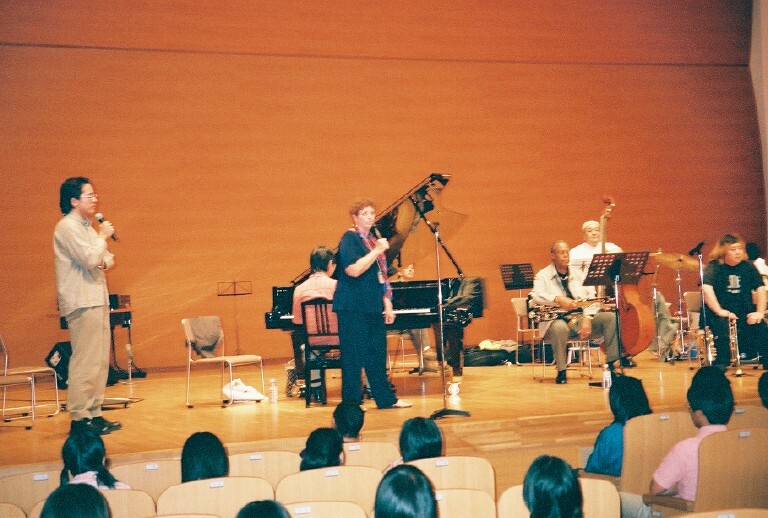 Ms. Dunscomb currently serves as Contributing Author for the Thelonious Monk Institute for Jazz, Consultant to the International Piano Teaching Foundation; Educational Consultant in Jazz for the National Museum of American History (writing for the Smithsonian Institution); and Jazz Editorial Assistant for Jazz Expressions (Warner Bros. Publications). Works in print include Melody Maker (Melody Maker Press); Evolution of Jazz (McGraw-Hill); and Anatomy of Music (McGraw-Hill). In addition she is a contributing author and Editorial Assistant for Jazz Pedagogy: the Jazz Educator's Handbook and Resource Guide (J. Richard Dunscomb and Dr. Willie L. Hill, Jr. - Warner Bros. Publications); Teaching Jazz - A Course of Study (MENC/IAJE); and Jazz Studies Guide (MTNA/IAJE) and has been a contributing author numerous publications. member for Florida International University - Miami, Florida. 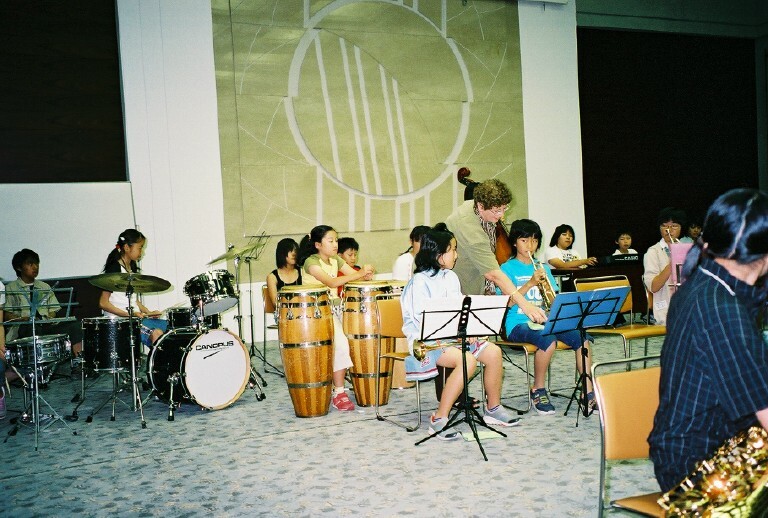 Here are a couple of shots of jazz improvisation seminars Marcia presented in Asahikawa Japan. If you would like to see one of Marcia's latest projects, here is the link http://www.jazzinamerica.org. She had been asked to write the fifth grade materials for Jazz in America. When at the linked location, select the 5th grade. There are then 8 different lesson plans (LP1 LP2, etc). Select the Student Handout for each grade. That's the part she wrote. As you read the prose there are places to "click here to hear the music." or click on an underlined word to see a photo. Alton and Sylvia (Farmer) Gloer Alton tells us of a life filled with challenge and change. I don't know how much you know about us, but we lived a fruitful, if not rich life together. 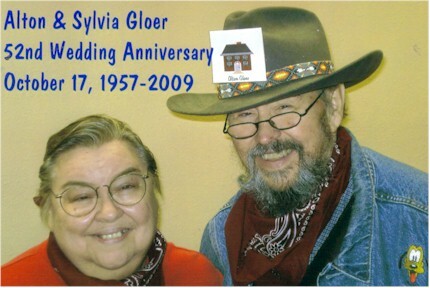 Sylvia and I were best buddies in Russell and got married when I came home on leave from the Air Force. I spent nearly 6 years in the Air Force until a boss came along that I just could not get along with. I wanted to be in electronics, but they found that I was color blind so as I had joined with my best buddy (male) Junior Simmons (Henry C), they put him in the electronics section and since I could type, they made me a clerk. They sent me to Savannah and Sylvia and I stayed there our whole 1 and a half tours of duty. When I got out, I still wanted to be in electronics so after trying to make a living unsuccessfully in South Florida for a couple of years, about 1964 we moved to a rural area south of Atlanta where I started fixing TV's. After that, I decided if I could not make it as a full time disc jockey playing oldies (as I had been doing part-time since high school) I would just die. I advertised and got bookings for Disc Jockey Shows as "Daddy G" which I did for over 25 years and enjoyed so much I would still be doing it except for the fact that it got too hard to find people to help me carry my equipment. At the time I quit, I was carrying 1000 Lp records, 1000 45 records, probably nearly that many Cassette Tapes and quite a few Compact discs, which, with my big speakers, turntables, and other assorted equipment weighed in at 1800 pounds but I could play nearly any song anyone wanted. Someone stumped me once with a song request for a record that I actually owned but had not considered carrying as it was a "gimmick" record that you cut off of a package. It was "The Frito Twist." I promptly put it on tape but it was too late for that challenge. I still make every effort to have every record ever made up to but not including Rap, which I think should be spelled with a "C" in front. Sylvia has always been the perfect mother, taking care of me so I guess she is my "nurse." Next year, we will have been married 50 years if we are still alive. It does not seem that long, we have enjoyed each other and all of our children. We only had one child by 1967 so we did something about it and started taking in Foster Children to have someone for our little girl (now 45) to play with. It worked out real well for us, for her, and the kids as we both enjoyed kids and we kept that up until 1991 when the last child we got just stole our hearts away. He was a little 9-year old boy who had been abandoned at birth by his natural mother because he was Mentally Handicapped. After being sent back to the agency by 6 or 7 different foster families, the agency had no choice but to put him in a Mental Institution because the families all said that they could not make him behave without physical punishment (not allowed). As we had had over 30 children and they considered us the most experienced they asked us to go to Savannah, from Atlanta, where we lived, to interview this child to see if we could handle him. He hid behind the attendant and wanted to know if that guy in the cowboy hat was going to be his daddy (me) and won my heart right away. Although he is no longer a foster child as he is now 25, he is still with us and is still "our little boy." I walk with a cane due to "pre-syncopy" which means I am always in danger of falling out or fainting and I, being retired, make my own canes. One day about 6 months ago, our little boy, Dennis, was riding along with me in the car and said "Dad, stop the car, I see a cane for you!" His mental age is about 6 to 8; he cannot read or write but does go to work on a community sponsored job four days a week where he washes buses and cars for the county. I stopped the car and got out and looked at what he was seeing. It was an ugly old root from where they were widening the road. I took it home and threw it out in the yard where it stayed about two weeks with him asking me every day when I was going to start on my cane. Finally, I decided to show him how fruitless it was so I got out my table saw (our house is real small so I have to take my tools out onto the porch to work and we got the root and started cutting. It took be about four months of cutting, whittling, sanding, mostly sanding, but it became a beautiful crooked cane and I use it daily now and get compliments on it wherever I go, mostly from little old ladies who want one like it. He could see what I could not; he has been our biggest blessing. I would be amiss if I didn't mention that I must not have been the perfect father because I completely spoiled my two boys, always getting them out of small scrapes and scraps until now they are two big boys, age 36 and 37 and are in the State Penitentiary for drug related charges. Our first child Celeste, is doing really well in a field associated with children which she has always loved, working for the Fayette County School System. 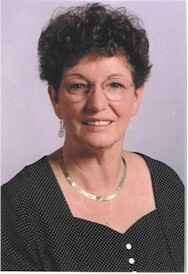 She lives in Senoia if you remember where that is, and she has given us a granddaughter age 23 and a grandson age 17. She is divorced from her husband of 23 years but owns her own home and still has both of her children at home with her. When I quit being a disc jockey in 1986, I bought a nightclub thinking erroneously that my many fans from Atlanta would make the short trip to Griffin, below Atlanta, to hear "Daddy G." What I found was that the only crowd that came there was the locals who were "rednecks" and the only thing they wanted were loud expensive "Redneck" bands so that they could sit in the parking lot and get drunk from their own liquor and then come in the club and get drunker and start trouble. They didn't want to hear my "oldies" so to stay above water we had to give them what they wanted. To do this we had to spend 18 or so hours a day preparing for the night's business and then getting home around 3 am and falling asleep until almost time to do it again the next day. It was torture and we made it three years but finally went bankrupt. I then sold printing from my designs on the computer for a while until we got an offer to go to Knoxville and manage a home for Mentally Handicapped Adults. This again was a job that required more than 24 hours a day, more like 36 hours a day but we made it two years and then moved back to Georgia to La Fayette where Sylvia was from. Her mother gave us 3 1/2 acres including a 3/4 acre duck pond and we have been here ever since 1997. For the first couple of years I sold leather and knives at a flea market but when Sylvia was declared disabled in 1999 due to diabetes and morbid obesity, I knew my time was limited too so I retired from that and since then have been living on Social Security and trying hard to keep at least one computer going. My wife, Sylvia, says the reason my computers break down so much is that I give them too many things to do. I keep up with my records/music on them, write letters, do bills and can't figure out how big business can rely on computers to keep them going as mine let me down all the time. Right now, I can't print because my computer tells me I have a paper jam but I can't find any paper jammed anywhere. I didn't mean to bend your ear too much. I really tried to keep it brief (LOL). I once read a bio on the back of a record by Mike Nichols and Elaine May where it finished with the statement "Miss May does not exist." You may not think that Sylvia exists but believe me, she is behind me all the way and you have to have it that way or it won't work. I still introduce her to people as "My Seventeen Year Old Bride." She is 65, and I will be 67 in a few days. She still carries my picture around as if I were Elvis. She calls me her “Hero.” I like that. I will try to insert a picture of us herein, but can’t promise it will work. Our physical address is Alton and Sylvia Gloer, PO Box 491, La Fayette GA 30728 and our phone number is 706-638-0816. Write or call anytime you feel like it. Oh yes, I do all of the computer communication as Sylvia suffers from Diabetic Retinopathy and can’t see very well. She does excel in talking on the telephone though. 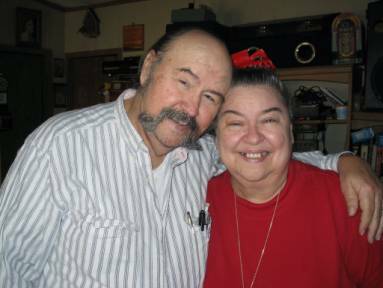 In a note to Jimmy Knight Alton says, "Sylvia and I celebrated our 52nd year of marriage (and probably 53rd as being best friends) and even though we are in rough shape, we're still hanging in there. I presume you heard about Shirley McGinnis (Williams) who passed away about the first of this month. She was a member of Sylvia and my best friends so it was a blow to us to hear of her unexpected death. I hope that you and Jeanette are doing well and that "old age" has not been harsh on you. I think the thing that bothers us the most is the constant travel back and forth to the doctor's offices. Every week we have what is our biggest expense (gas) going back and forth to the different doctors. I am having some kind of internal bleeding they are trying to track down now. I went through the awful ordeal of a double colonoscopy (down throat and up other end) last Monday but they did not find the source of the bleeding so they will examine me further next Monday (23rd) to see if it is coming from my small intestine. Sylvia is doing as well as can be expected, fighting her diabetes and food addiction. She is mostly confined to her wheelchair but we do go out from time to time with her using a cane. I do most of the housework, with a little help from my sons. Congratulations on getting a new computer. I hope it is a Dell. I have had several computers in my life, but none has lasted and performed like the last Dell I bought about 3-5 years ago. It just sits here on my desk, quietly, and does most anything I ask it to do, and with all the music I go through, that's asking a lot. I still have lots of cowboy and Texas songs if you ever want any more of any kind, let me know. I know you have Limewire, but I have a lot more songs than those. NEXT, in a note to John Mullinax Alston says, "I don't mind if you add our 52nd Anniversary picture but we kind of like the old one when we were young. As a matter of fact, I have misplaced my copy of the old one taken at the prom (1956?) so when I want to show it to someone I go to your web site and copy it from there. We're just old farts now and really don't know if we will be alive at the next time a reunion is held (well, does anybody?) I had hoped that we would be able to get together on a smaller scale (not as expensive) in less than five years but I guess that is not going to happen. Whatever you want to do, whatever anyone else is doing about the individual pictures is okay; we just prefer keeping the prom picture as that is how we would like to think we still look. We made good choices in each other and are still together and still best friends, although three of our other close friends are now dead (Shirley McGinnis, Henry (Jr) Simmons, and Curtis Stanfield) I think Curtis was a year or so ahead of us but he was a Russell graduate that we hung out with who died rescuing a person from a car on the railroad tracks near the school. I don't know who else has died and I really don't know how to find out on the website [ http://www.russell57.com/Memorial.htm ], but I am 70 and Sylvia is 69 and it seems the only time we go out is like today when we have to go to get a shot or twice this week when I had to go to the hospital and doctor's office. We still live up in the hills below Chattanooga TN with our mentally handicapped son (a former foster child, now aged 28) and one of our natural sons, Parris, age 39. 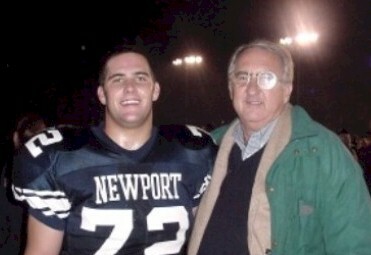 Our eldest son, Adam has been serving five years without parole but will be home in February 2010 for possession of Pot. He will be 41 on his next birthday. Our only daughter, Celeste, is happily living in Baton Rouge LA with Jim, her Atomic Engineer husband. Our old car, a 1990 Lincoln Town Car is still hanging in there with us, so long it seems like it is also a member of the family. It must have a Timex motor because it just keeps on 'a-tickin'. 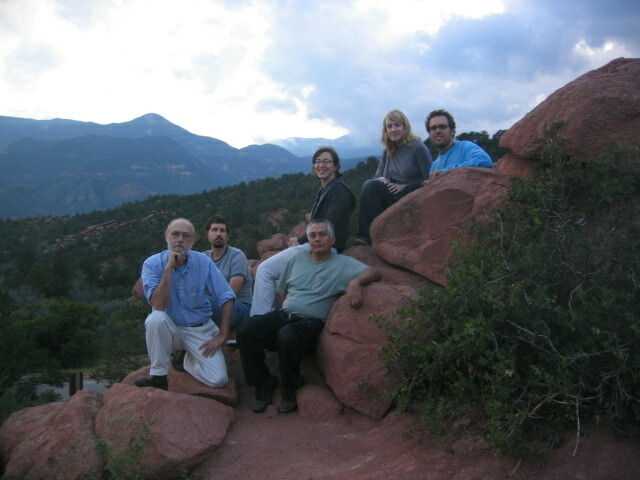 The picture I sent was taken at a retreat for cancer victims that just happened to fall on our 52nd wedding anniversary. We went last year also but found that we had a lot more energy to participate in the hay rides, watermelon cuttings and activities last year than we did this year. Sylvia spends most of her time in a motorized wheelchair, listening to "books-on-tape" which is a wonderful service. She is legally blind now (20-200 vision which means that 20 feet looks like 200) from Diabetic Retinopathy. We both walk with Canes that I make out of natural woods found around our home. If you know anyone who liked to read but can't anymore, please tell them to check out the "Books-on-Tape" service from their local library. Sylvia gets books on cassettes from all over the USA shipped to her free, no due date, and she ships them back also free, when she is finished with them. She has wireless headphones so the machine sits in the kitchen and she can hear it on her headphones all over the house. The service plans to go to digital downloads to flash drives in the near future. They already have the service but are limited on the number of machines they have for playback so are giving them out as they become available, but the cassettes work fine. I know I am a wordy person so feel free to edit anything in this email. I am sorry that I neglected to inform you of my change to gmail. I tried to contact you one time but my email was returned with a note that you were only accepting email from certain parties that had some code or the other. I hope that you and your family are doing well, are healthy, and not suffering from the ills of old age. I recently told a young lady that I was 70, had cancer, high blood pressure, diabetes, heart disease etc., and she politely said that she thought I was "gently going through my fifties" - It may have been a lie, but I liked hearing it anyway. Drop us a line anytime and feel free to pass out my current email address to anyone you please (alton439@gmail.com). Our home address is 117 Gloer Ln, La Fayette, GA 30728, and home phone is 706-638-0816." OK, I looked at the website. Who’s the guy in the photograph? Was anybody ever that young? I misspent a lot of my time at RHS drawing cartoons, and that’s sort of where life took me. A bit of playing Marine after graduation, then art school, then college, then grad school, then two years teaching at LaGrange College, from which I was summarily fired (I was the campus radical; that means I didn’t wear a tie to class, occasionally skipped Chapel, and was careless in the matter of regular haircuts – it was 1967, after all). Lamar Dodd rescued me from oblivion and took me on at UGA, where I misspent another 10 years. Then my burgeoning disillusion with the academic factory-system and underlying disrespect for authority overtook me again and I traded a no-longer-promising teaching career for one year of saying exactly what I thought. I left Georgia (some say under a cloud, some say in a blaze of glory) for the world of bright lights, loud music, fast women and strong drink in Noo Yawk Siddy. What I found instead was the Guggenheim Museum and my wife-to-be Merrill Mason, and settled into a life of soft lights, chamber music, a smart woman and Chardonnay. After our regulation 15 minutes as (God save the mark) “a cool New York couple” had elapsed, we moved to Philly, where we now reside. Neither of us is retired (she’s a mere child of 58). We both work in the art industry (she’s a museum development officer; I’m regional manager of a fine arts packing and shipping company). She’s more an artist than I am (textiles, cast-iron sculpture and photography), and though I still draw a little every now and again (and occasionally crank up enough energy to go out an’ boogie til I puke), I just don’t have that much fire-in-the-belly any more. 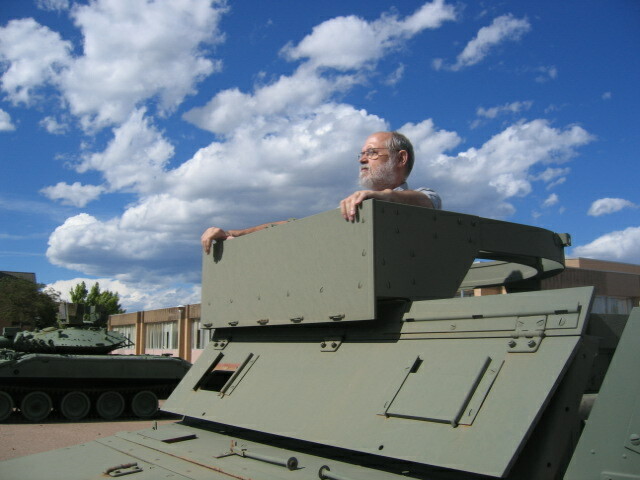 (and I got to do my famous imitation of George C. Scott doing his famous imitation of George S. Patton – see illustration [“Fragile Flower” is my callsign]). Some of you might remember the Unfortunate Fishpond Incident — I blew it up in yet another of my futile, self-destructive attacks on authority and got expelled from Russell. I had to go downtown to the Board of Education and see the Superintendent himself to beg my way back in. That caused me to graduate in January of ‘58. After that, I continued my anti-authority ways by getting thrown out of the Navy — see a pattern there? After reading entirely too many Jack Keroauc books, I decided the road was where it was happening and spent the next couple of years hitch-hiking around the country. (It was the sixties, a time in which I participated with vast enthusiasm) A very wise young woman who let me recuperate from the rigors of the road at her parents’ farm told me that right now all of this irresponsible running around I was doing was fun, but if I did it one more year I’d be throwing my life away, so I decided to go to college. (I can’t even remember this young woman’s name but I thanks her every day of my life.) Given my grade point average, attitude and complete lack of money, my higher education choices were limited, so I went down to Florida, where a great community college system was developing and found a junior college that would let me in. As soon as I attended a class there, I knew I wanted to teach in one. Finally motivated, I finished my junior and senior years in 14 months and took off for New York City, where I worked as a social worker in East Harlem while trying to learn to write good modern poetry. After a year or so of that I entered a Master’s Program at Hunter College so I could fulfill my ambition to teach in a community college. I found a job in Catonsville, Maryland, and became as close to a responsible citizen as I can come. I still distrust authority but I’m no longer self-destructive about it — being married to the great love of your life and raising four children tends to temper your self-destructive impulses. Over the years, I’ve published a few books and right now I’m living, writing and raising two teen-aged girls in Frederick, Maryland. My grown son and daughter (and twin grandsons) live nearby. To paraphrase William Butler Yeats, I have grown progressively happier with each year that I have lived and have absolutely no desire to relive my youth. 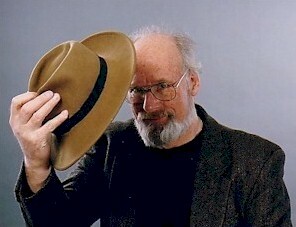 Incidently, not to blow my own horn too much, but if you go to www.rambles.net scrolled down to staff, click on it and then scroll down and click on my name, or to go directly there http://www.rambles.net/ms_cain.html it'll give you a complete list of the music and book reviews and articles I've done for them. Graduate Ga Tech 1962 Industrial Management. Naval Officer Candidate School graduate December 1962. Lieutenant U S Navy 1962 thru 1965 active duty. Administrative Aide Admiral Julian T Burke Comphibron 6 Little Creek. Virginia. Area Sales Manager Allegheny Ludlum Steel Corporation 41 years South East. Presently Manufacturer's Representative Ulbrich Stainless Steel. Georgia and The Atlanta Touchdown Club. Married 33 years to Heath Annette Guthrie, an Agnes Scott graduate. Mary Barnes Waller Monte graduate College of Charleston at Charleston, South Carolina married to Captain Alex Monte graduate The Citadel training officer Marine Recruit Depot Paris Island South Carolina.